Originally from England, Lyndon Wilson has over 20 club titles from his homeland. In 1998, he began his golf mentoring career in the U.S. for the Tiger Woods Foundation Clinic at Disney’s Wide World of Sports Complex in Orlando. For over 16 years, he has been the owner and operator of Golf Studio 360, an Orlando-based club fitting and teaching studio with full club and swing analysis capabilities combined as a repair facility.Additionally, Lyndon offers a full club building and fitting service on site for students and staff with Core Golf Academy at Orange County National. He formerly taught a variety of golf classes at Professional Golfers Career College and at Core Golf Academy. 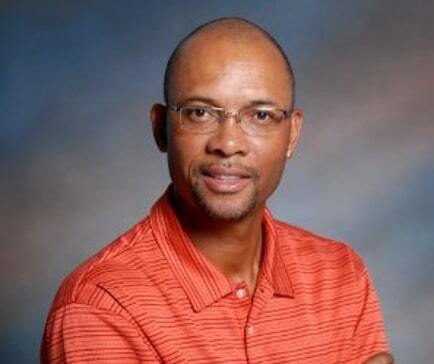 Lyndon is an expert in preparing players for tournaments and teaching them how to get the most out of their game and equipment.He works extensively with KBS, Cool Clubs, and Accra Tour staff to maintain PGA Tour member's equipment on the Florida Swing PGA Tour. Lyndon prides himself on building and fitting golf clubs for PGA, LPGA, Senior and Mini Tour players. He has fitted and built clubs for Justin Rose, Peter Hanson, Chris Barilla, Matt Every, Alex Roca, Kyle Stanley, Oscar Fraustro, Beatrice Recari, Suzzane Peterson and Yani Tseng, among many others. Read below to find out why Lyndon has remained a loyal FlightScope user and Advisory Board member. FS: When did you first start using FlightScope products? What model was it? LW: I started using the X2 in 2010.FS: What product(s) do you currently use and why?LW: The Xi Tour is light and easy to travel with on tour, and the X3 checks all the boxes when it comes to fitting and diagnosing swings.FS: What is it about FlightScope technology, products, and the company in general that has made you a loyal user? LW: The technology is very accurate and truthful, and the company offers me great support.FS: What are your thoughts on the new FlightScope consumer model - FlightScope mevo - and how it might help grow and improve the game? LW: Excellent product! The consumer can now use and understand how this technology works.FS: What is your favorite golf course? LW: Wentworth EnglandFS: What is your favorite club in your bag? LW: PutterFS: What other hobbies do you have outside of golf? LW: Performance cars technologyFS: Who is your favorite golfer of all time? LW: Seve BallesterosFS: Are you a fan of any other sports? Who are your favorite teams? LW: Soccer, BrazilFS: What accomplishment(s) are you most proud of? LW: Being able to help players at the highest level in golf.To find out more about Lyndon, visit golfstudio360.com.